ItemNA-03680 - Forest Service; E.P. 100. 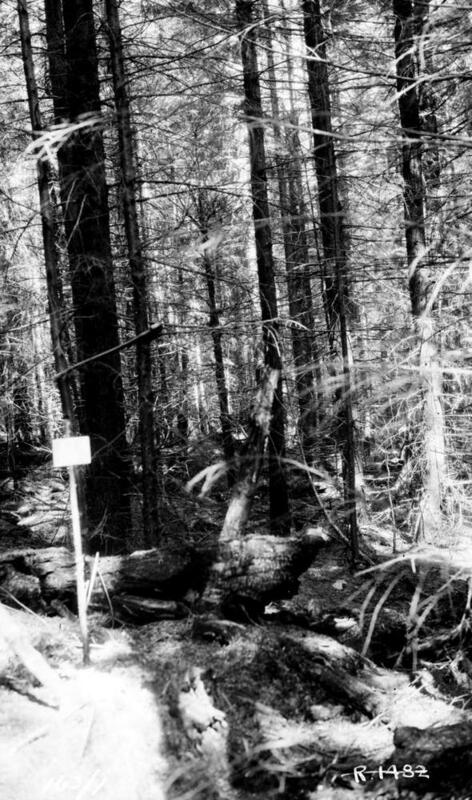 ItemNA-03681 - Forest Service; E.P. 100. ItemNA-03966 - Forest Service; view from Aleza Lake lookout. ItemNA-03957 - Forest Service; Aleza Lake experimental station; lookout built on a Douglas fir. ItemNA-03958 - Forest Service; cedar stand.